Where can I access Blue Moon's website to access my account? You can access on different devices such as desktop, laptop, and mobile app. Where is the GA Apartment Law Book located? Once you have logged into your program the GAA Law Book login is located on the top right of your screen. When using the E-Signature feature, how long can I keep the document in the “on the spot” folder? Once the E-Signature has been activated to the Resident, you and the Resident have a 30-day calendar window to send documents, receive, print or save into another folder. On the day 31 all documents that remained in the “on the spot” folder for that rental unit number will be purge. You will lose your data and it cannot be retrieved by Blue Moon. Why does the LBP document print out first when I selected the Lead Based Paint document along with other forms? It is the intention of the undersigned to the disclosure notice that becomes a part of their Apartment Rental Contract. Delivery and acceptance of possession of the rental unit by applicant/lessee. How can I list the forms we wish to use/print in order first on the Print Menu Screen? The placement of this form will become locked. You will unable to rearrange its placement in the list. You can inactivate the form. 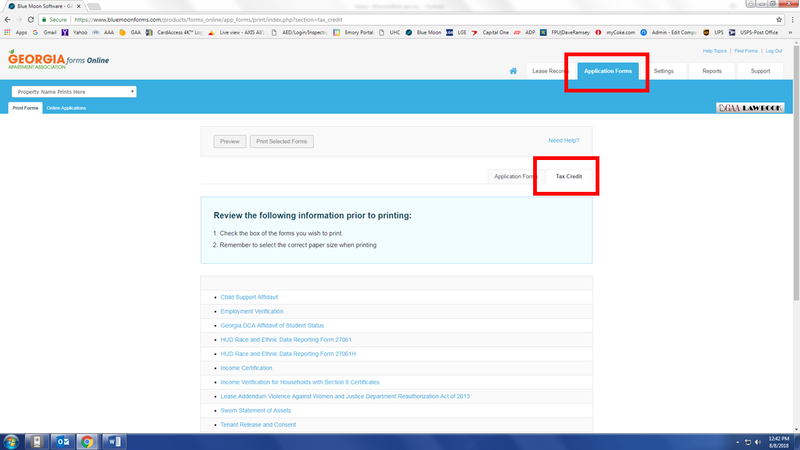 If inactivated, the form will be completely removed from the print menu. The placement of this form is based on the Association’s recommendation. You can rearrange its placement in the print menu. You may activate/inactivate forms to control which forms appear in your print menu. Only active forms will appear in your print menu and be available to print. Where are the Affordable Housing (Tax Credit) forms located? What is the “Other Forms” tab on the Print Menu screen and why are they not listed with the “Lease Document” forms? Forms that are located on this page requires you the User to insert additional data prior to printing the document. The selected document will pull up the specific sentence that the field for the data should be entered. You can view this by selecting the “Preview” button located on the top left. Where is the latest program or software updates or notes? Can we have more than one person signed in on the program? It depends on your company, the IT or the Administrator if they have given you authorization to the account. Is this E-Signature program available on my mobile app? When I log in to the program a pop-up message appears stating that my software will be closed soon. What does that mean? This is a separate fee from your Annual Membership Dues with your local apartment association & your annual Form Subscription; it is a fee to operate your GAA Forms Online program. 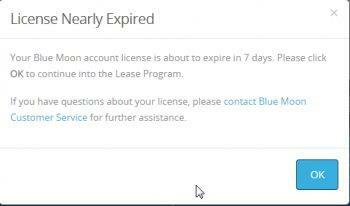 Your Software Site license (with Blue Moon Software) expires annually, based on the month that your property originally set up the account. For example, if your property ordered a license in September 2018 then your annual license renewal fee will be due by September 30 of 2019 and every year after that in the month of September. Annual site license renewal invoice will be sent from Blue Moon Software in Austin, TX and not the from Atlanta or Georgia Apartment Association. Blue Moon Software mailed the license out approximately 30 days before your license is scheduled to expire through regular USPS mail; Invoices are mailed to the billing address we have on file for your property. If your property is enrolled in paperless billing, an invoice will NOT be mailed via US mail, but the email will be sent on the 1st business day of your anniversary month and due at the end of your anniversary month. Thirty days before your expiration date, a pop-up message will begin to appear warning you that your license will expire in a few days. You will receive this warning daily until payment is received by Blue Moon Software. Where can I see the entire list of forms that are available? Once you have logged into your home page in the far top right corner you will see the words “Find Forms” click there & it will show you a listing of forms and where to locate them at. Enterprise is a powerful tool designed to allow companies which manage portfolios of multiple properties across one or more states to access and manage their software licenses in a single, integrated interface. Can we create personalize letters or messages directly to the Resident from this program? You have access to import/export fields from this program that you could post to your Word/Excel documents. Can I use my PM Software Program info on the same side of Blue Moon and vice-versa? You can have access to your Blue Moon Program through your PMS program – depending on your program fields matching up. Can we add our own Management forms onto this program? You can with restrictions. You will need to contact Blue Moon Software. 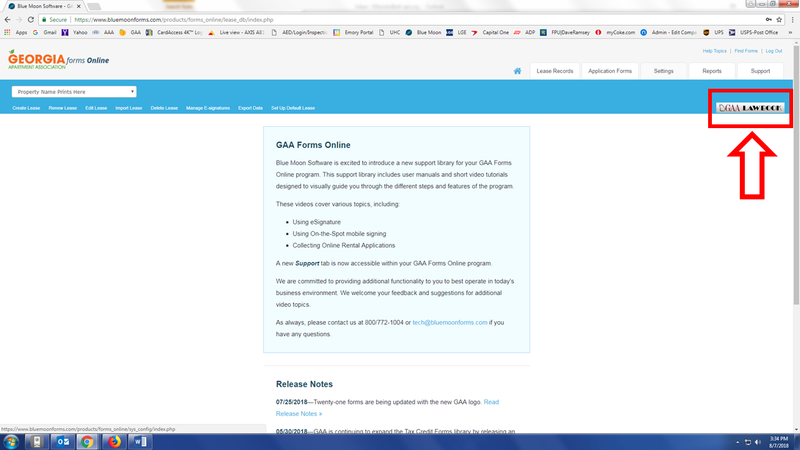 If the GAA program currently has the document or any similarities that you wish to upload you will be denied to upload that document. How do I change my contact information (to receive updates or alerts)? Our community's Owner or Management’s name has changed – I cannot change it on the program – how can I access it how can it be changed? You cannot access it. You first need to reach out to your local apartment association Membership Department to make sure they have this information. Second, contact Blue Moon Software (800) 772-1004 x4 and request a “name change form”. Once that form has been filled out and sent back to Blue Moon Software; they will only change it when the local apartment association verifies that a change request has been reported to the local apartment association. Blue Moon is not authorized to change any data on the program without your local apartment association’s approval. Please contact your local association first to prevent delays. Our staff shares the same sign-in info. A staff change has taken place how to remove a former employee from login? I recommend each individual person to be assigned their own username and password. Once you logged into your program there is a tab called “System Configuration” select it and it will give you a category of Managed Users. Select it. At this point, you can disable a user, add, change their password, block items they can change or delete, etc. How can I reach Blue Moon?